It poured rain the ENTIRE day. 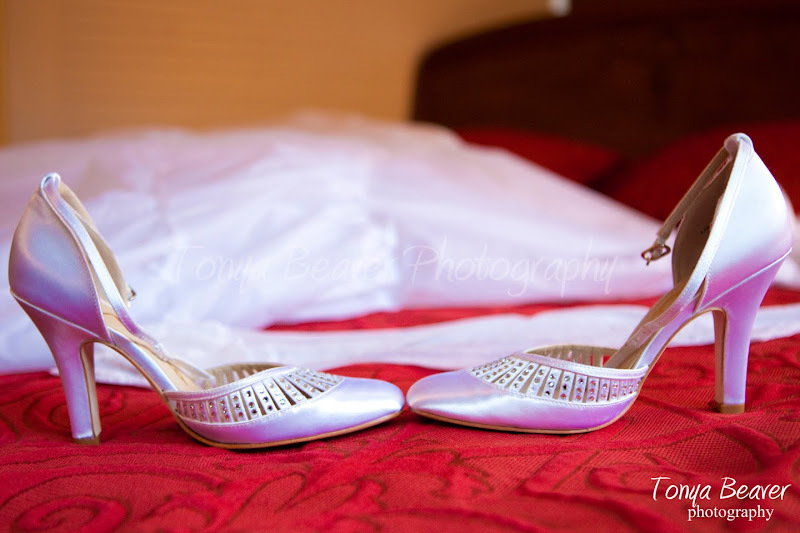 Generally speaking, if there is bad weather…there’s going to be an unhappy bride. But, thankfully, Sally was way cool. She was just like, “oh well…can’t do anything to change it. And at the end of this day, I’m marrying the man of my dreams…so bring it on!” She was so laid back. The change in routine and being stuck indoors did allow us to be more creative inside. We had to work with what we had, but the Winterbourne is beautiful inside and out. Also, can I just say that Candice and the whole staff really busted their rears to get everything set up inside. They really went above and beyond…and FAST! All in all, it was a beautiful day. This is just a sneak…but here ya go. 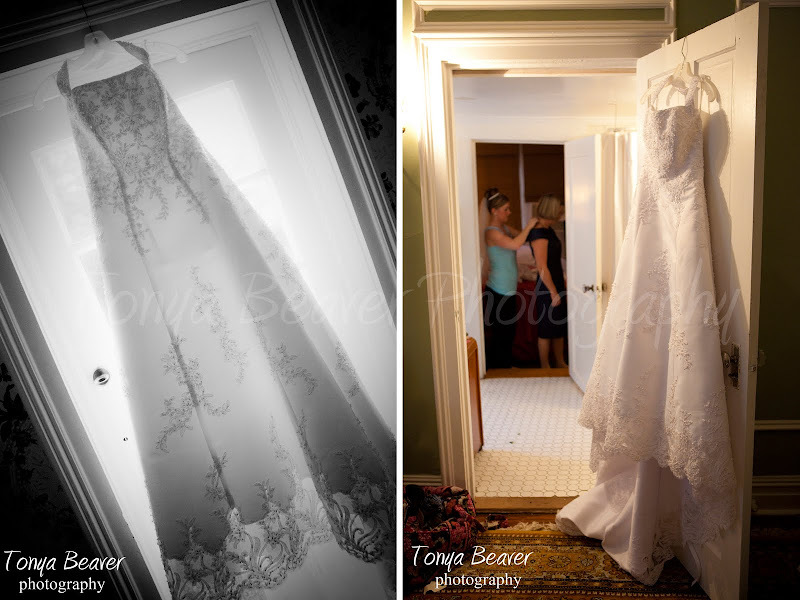 I love the backlight behind the dress…and then in the other being able to see Sally and her mom through the doors. This red bedspread made for the POP in pics! Really? 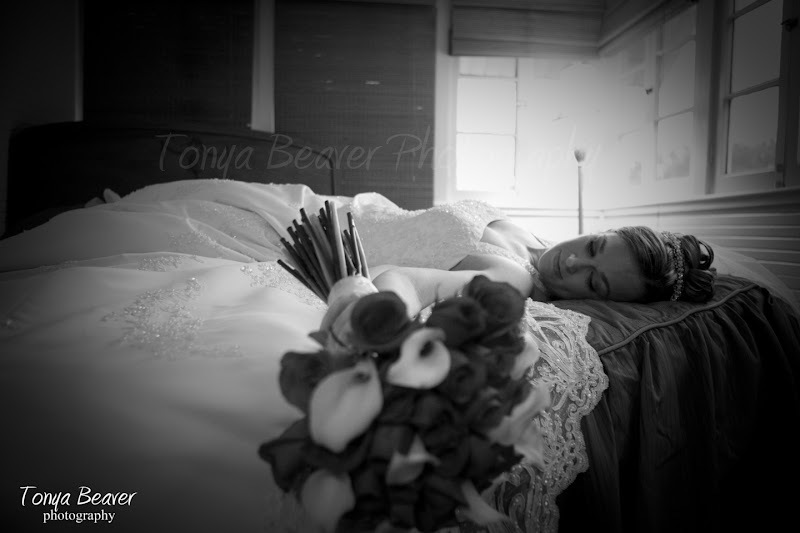 What bride would lay on a bed before her wedding? Sally! She was up for whatever. I love it when the couple can just ‘be’. Look at how happy they are. Andy was such a good sport too. Oh this is one of my favs. I love getting a different perspective. This is their first dance. Not often do rings fit so well like this for a perfect pic. Their signature drink was a Christmasy martini with a peppermint stick. Looked yummy! An email from Sally…what a sweetie!